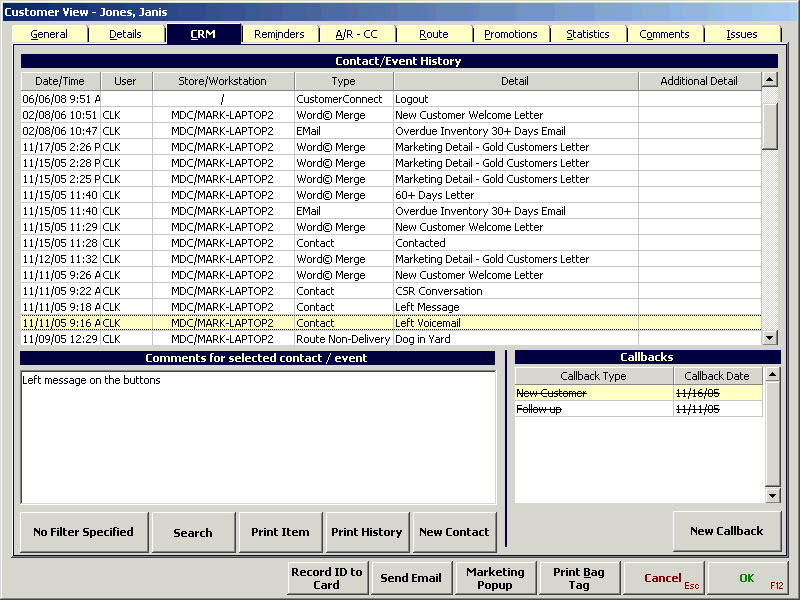 Along with tracking this information you also have the ability to search and print a specific conversation or the entire history of conversations with the customer. CRM gives your entire staff access to conversations with your customers eliminating the post it notes and notepad currently used to manage customer conversations. Issue manager was created to provide your company the ability to keep track of day to day operational exceptions and task based processes. 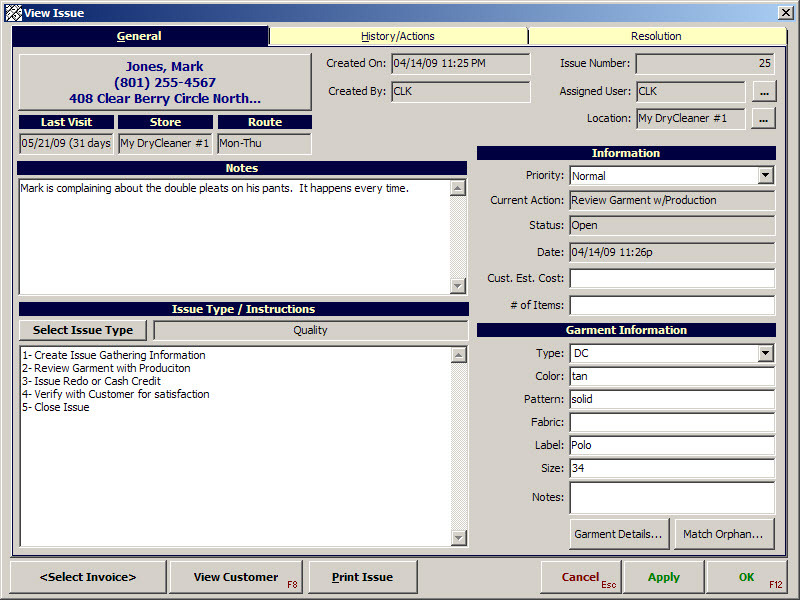 The issue manager assist's in processing claims, complaints, compliments and suggestions. It may also be used to track equipment maintenance and other operational to do's that require estimated times to complete or assigned tasks.